Aiden is away at church camp this week (which he tells me is 'awesome! '), but the rest of us had a great time today hiking and looking for treasures along a nearby hiking trail and beach. Judging by how many pictures Paul and I took between us, we found lots of treasures! Here are a few I wanted to share. 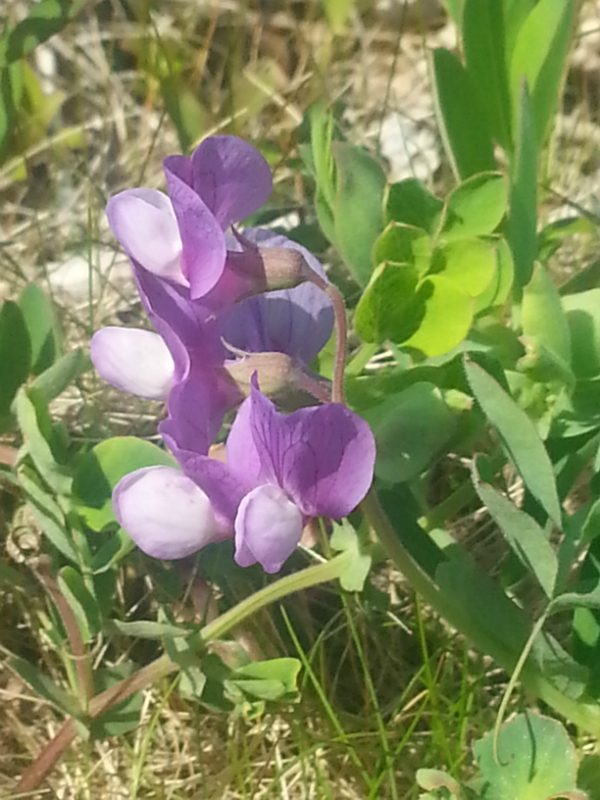 These beach peas were so dainty and beautiful. 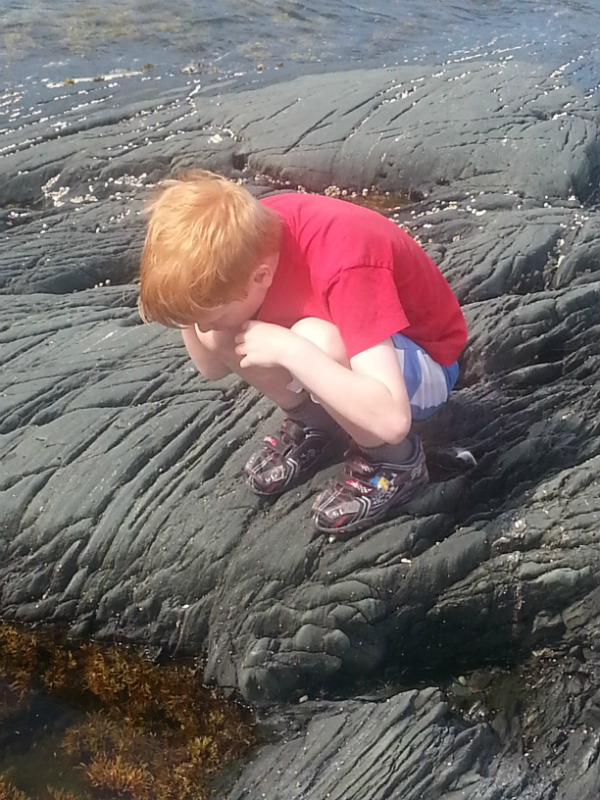 I love this shot of Nathan looking for creatures in the pool of water. 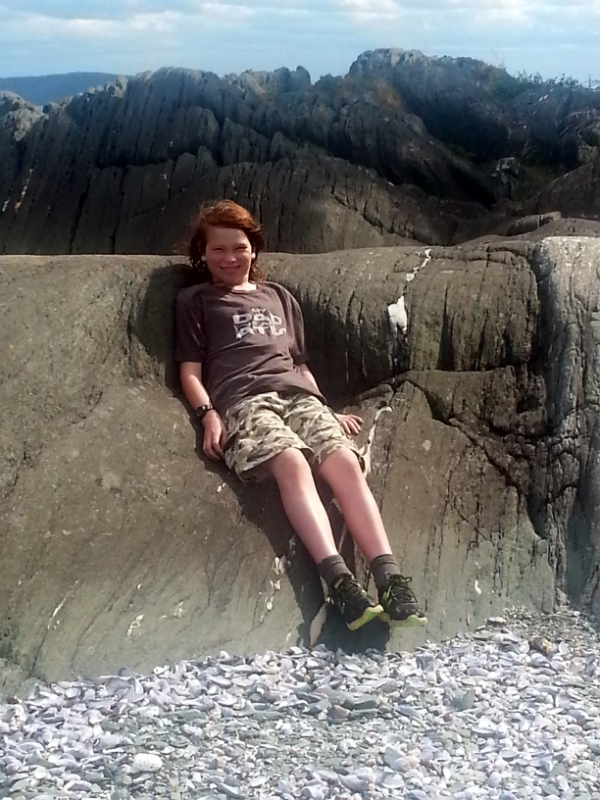 Zachary found a nice place to lounge for a few minutes. 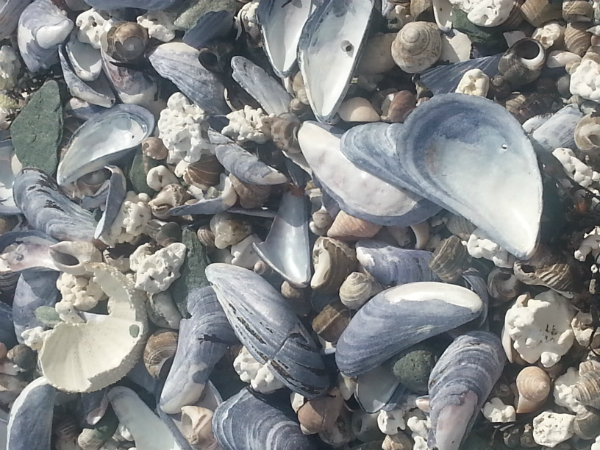 I love looking for shells, pretty rocks, bits of coral and sea glass and these beaches have all of it in spades! The rock formations in this area are really amazing. 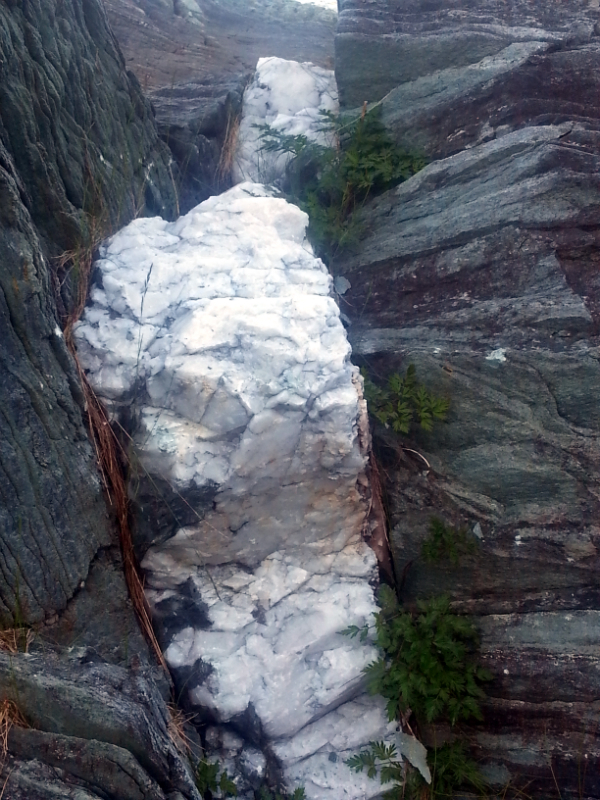 I can't get over how there are so many bends and folds in the rock (none of which photographed well today, of course). 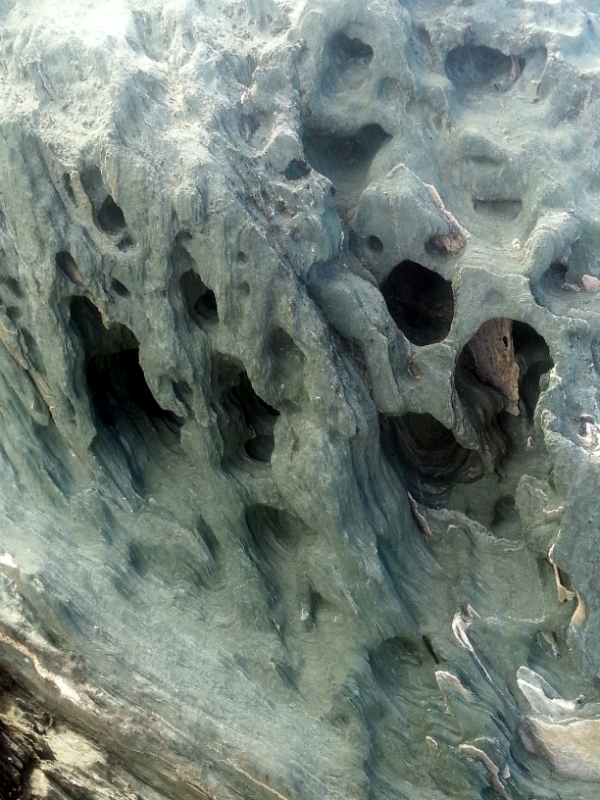 I'm not sure what kind of rock this is, or how it eroded in this way, but it looks amazing! There are many places where there are veins of a different rock in the midst of the usual grey rock, which I think is shale, or maybe slate. I like knowing the names of things, so I have a wildflowers book and a bird book to help me identify the different ones I see. I said today that now I need to find a rock book, because I'd love to be able to read about the different types of rocks and learn what I'm seeing. If you know of a good rock book, please let me know! After the hike, we returned to the little picnic area, where there is another beach. 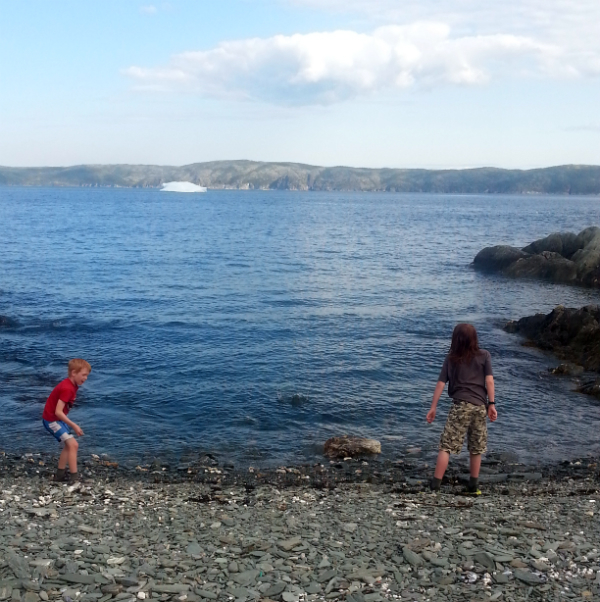 The boys loved throwing rocks in the water while they waited for their hot dogs to be ready. 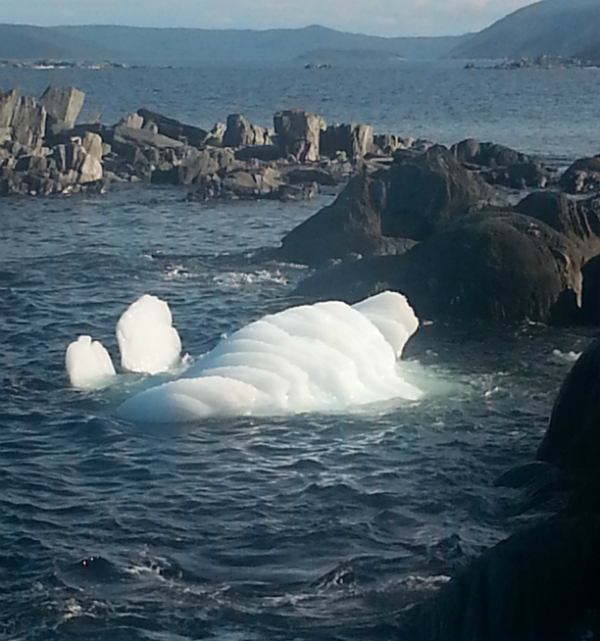 See the iceburg in that picture? That was our supper time entertainment. It slowly moved in closer, then started to roll. It rolled one way, then rolled back the other way, and back and forth and back and forth. Then it tipped backwards a bit, then started to spin around. It looked completely different by the time we were finished eating! After supper we explored a little farther along the beach, climbing over more rocks, until we discovered this chunk of ice bumping up against the shore. Just think how cold that water must be! This is my favourite kind of day - spent with family, exploring nature and coming home with beach treasures in my pockets.